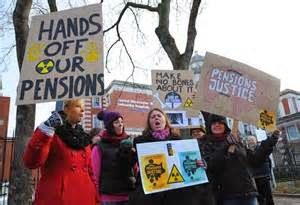 Pensions and promises will be broken so get ready for more pain. This should not come as news or a shock because the subject tends to surface every now and then in the news. Back in the 2012 Presidential campaign both Barack Obama and Mitt Romney raised concerns about underfunded pension programs and how poor management has led many pension systems to seek bailouts. The 25 largest U.S. public pensions face about $2 trillion in unfunded liabilities, showing that investment returns can’t keep up with ballooning obligations, according to Moody’s Investors Service. Even worse is the view from State Budget Solutions a nonprofit group, according to their report State pension funds are underfunded by $4.1 trillion. The blame for the underfunding of public employee retirement systems often lies with legislatures, which have raised pension benefits to unaffordable levels while failing to contribute enough to properly fund obligations. If economic growth slows as the world matures we should also expect a new normal in the way of lower returns on investment. The super low bond rates of today and recent years, as well as zero interest rates, do not bode well for pension funds or those saving for their later years. Many planners and funds have not accounted for this. Moderate portfolios these days still are hoping for an annual gain of 5 to 7 percent. By assuming they will receive a high rate of return those managing pensions are able to make plans appear better funded than they are. The reality that they will consistently earn such a high a return on a conservatively managed portfolio, as anticipated by its fund managers is both optimistic and unlikely. Lately, the markets have been hooked on monetary morphine and ignoring fundamentals. Many of the financial structures we have built are on flimsy foundations or unsustainable. If the wheels come off the financial system pension plans will take a direct hit. To those who base their future on money coming from these monthly payouts I urge caution, it is not unreasonable to suggest they be prepared to take a "haircut" or worse. Sadly, this goes beyond pensions and will probably include a slew of other promises have been piled on to give the impression our golden years will be more enjoyable. The 25 biggest systems by assets averaged a 7.45 percent return from 2004 to 2013, close to the expected 7.65 percent rate, Moody’s said in a report released recently. The bad news from the New York-based credit rater is that pension liabilities have tripled in the eight years through 2012. Despite the robust investment returns since 2004, growth in unfunded pension liabilities has outstripped returns. Inadequate pension contributions, as well as the sheer growth of pension liabilities as benefit accruals accelerate, salary increases and additional years of service are increasing the gap. A report from State Budget Solutions found state pensions funded at 39 percent while they claimed a 73 percent rate. States with the lowest funded ratio include Illinois, Connecticut, Kentucky, Kansas, Mississippi, New Hampshire and Alaska. In addition to low funded ratios, states like Alaska, Ohio, and Illinois also have some of the largest unfunded liabilities per person weighing in at Alaska with $32,425, Ohio with $24,893, and Illinois at $22,294. It is a fact the generation that is now beginning to retire has leveraged its size into favorable policy that it will enjoy in later life. All this must be coupled with the fact many baby boomers have little or nothing in the way of savings and will be totally dependent on the promise that government will step in and care for them in their older years if they need help. We should remember governments slashed tax rates in the 1980s to revitalize their lagging economies just as boomers approached their prime earning years. The average federal tax rate for a median American household, including income and payroll taxes, dropped from more than 18% in 1981 to just over 11% in 2011. This means less revenue for the generous benefits boomers have continued to vote themselves. Programs like a prescription-drug benefit paired with inadequate premiums have caused deficits to explode and they will dramatically worsen after 2017. The arithmetic leaves few ways out of the approaching storm, the numbers are ugly and much of it is only now becoming visible in our soaring National Debt. Faster growth would help, but the debt left by the boomers adds to the drag of slower growth in the labor force. Carmen Reinhart and Kenneth Rogoff, two Harvard economists, estimate that public debt above 90% of GDP can reduce average growth rates by more than 1%. Meanwhile, during the boomer era, we have seen falling levels of public investment in America. Annual spending on infrastructure as a share of GDP has dropped from more than 3% in the early 1960s to roughly 1% as of 2007. Austerity is one way we might address this problem, but the consolidation needed would be large. The IMF estimates that fixing America’s fiscal imbalance would require a 35% cut in all transfer payments and a 35% rise in all taxes, far too big a pill for our creaky political system to swallow. Fiscal imbalances rise with the share of the population over 65 and with partisan gridlock, this is troubling news for America, where the over-65 share of the voting-age population will rise from 17% now to 26% in 2030. As this voting block grows and strengthens it is unlikely they will loosen the noose. Another possibility is trying to inflate the problem away. A few years of 5% price rises could help households reduce their debts faster. Other economists, including two members of the Federal Reserve’s policymaking committee, now argue that with interest rates near zero, the Fed should tolerate a higher rate of inflation and try to speed up recovery. The generational divide makes this plan a hard sell. Younger workers are typically debtors, who benefit from inflation reducing real interest rates, older people with large savings dislike it for the same reason. A recent paper by the Federal Reserve Bank of St Louis suggests that as a country ages, its tolerance for inflation falls. The bottom-line is that all these promises result is some rather ugly math, as things stand an American born in 1945 can expect nearly $2.2m in lifetime net transfers from the "state" far more than they pay in, and far more than any previous group. A study by the International Monetary Fund in 2011 compared the tax bills of what different age citizens pay over their lifetime with the value of the benefits that they are forecast to receive. The boomers are leaving a huge bill. Those aged 65 in 2010 may receive $333 billion more in benefits than they pay in taxes. This is an obligation to the government, 17 times larger than that likely to be left by those aged 25, this is a huge burden that the young are about to inherit. A massive four trillion dollar underfunding in State Pension funds alone represents roughly $12,000 for every man woman and child in America. This means we should place pensions into the category of a giant Ponzi scheme or lie. The fact is both the public sector and private companies have simply promised too much to workers that are living longer at a time that business pressures are changing, but what remains unclear is who will pay to clean up the messes. Will it be the millions of retirees owed trillions of dollars in benefits that take the hit or the bondholders who lent states and cities trillions more, or local taxpayers who may have to pay more to cover the shortfalls? We are already seeing that pension liabilities are crowding out spending for services, roads, and schools. One thing is certain, regardless of how this is resolved the process will be painful and likely play out over many years. I caution those who are silly or delusional enough to think a bad jobs report should bolster other currencies and weaken the dollar. 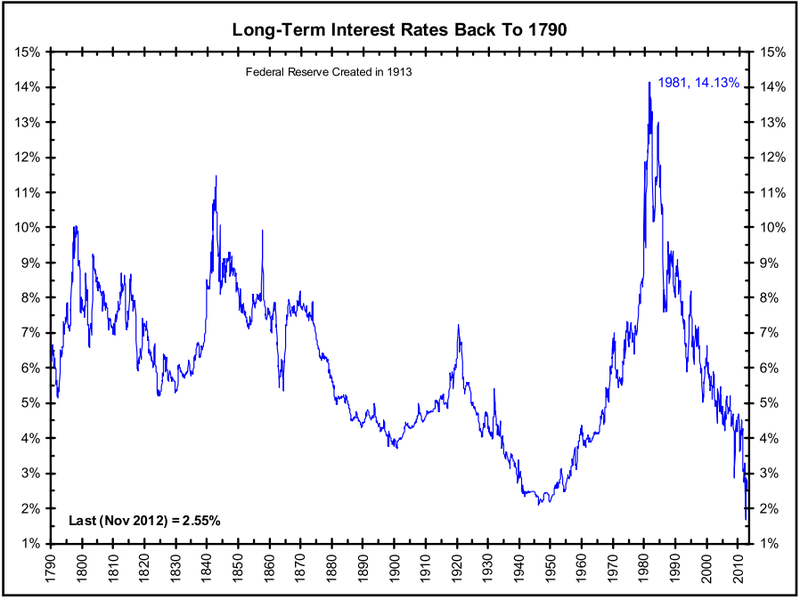 While it may lessen the call for raising the interest rates sooner rather than later little else changes. The dollar remains the best house in a bad neighborhood,or the cleanest dirty shirt in the closet, this means it is still the least worse option or currency to place your wealth. The bad news that blows a weak dollar theory out of the water is that consumption by Americans is what fuels the export economies of countries like Japan and China. Without the continued flow of goods from their shores such economies are "toast" and will further slow, this has a negative effect on their currency. As the world's reserve currency the dollar has gained as faith in other currencies has diminished because of central banks pursuing policies of printing evermore money. These policies to support and prop up both derivatives and economies have morphed into the main driver of economic data but has generated little real growth. Between the low interest rates that propel investors into high risk assets in search of a positive return and all the money being pumped into the system the markets have become distorted and disconnected from the economy. The myth that poor quality growth can be sustained or generate escape velocity and free us from our economic woes is again proving false. No matter how hard we try to forget, it is becoming more apparent that America's last big economic surge just before the 2014 elections was driven by a 10% jump in federal spending, mostly on Pentagon hardware. This "pre-election" spending was the biggest increase in spending by the federal government since 2009 when the Obama administration put in place its huge economic stimulus package. This means that 2014 third quarter growth was directly tied to government action rather than true demand, this is not a formula for sustainable growth. The chickens may be coming home to roost on a policy the Fed has pursued for seven long years. Over this time the Federal Reserve has failed to take serious efforts in pushing the government to take the necessary reforms needed to move the economy forward. Not dealing with what we were told were massive problems has only reinforced the idea that far too much has been made as to the ramifications of an out of control budget. Remember the horror stories surrounding sequestration and the financial cliff? I recall one Sunday morning talk-show host referring to them as "draconian" and predicting "dire consequences." Up to this point a strong case can be made that sidestepping financial responsibility has been rather painless, sadly to many people this only reinforces the idea that we can continue down this path. Over the years investors have been lulled into complacency by the extraordinary actions taken by central banks and governments. These actions have temporarily masked major flaws and structural problems, but by not demanding the right kind of growth and merely throwing money at problems we have only delayed and added to a financial day of reckoning that faces us in the future. In what most of us view as a fast moving world many people have come to think if a financial crisis doesn't occur today or in the next few weeks it is simply not going to happen at all. But when looking at the numbers the thought that we will be able to grow out of our problems is a bit simplistic and an unrealistic strategy. "Future growth" is often promoted as the best path forward because it is viewed as a painless easy solution to problems and avoids confronting hard choices to address deeper rooted flaws that undermine our economic system. Those in power have embraced and taken it to a new level financial engineering with MMT or Modern Monetary Theory. Unfortunately, a critical flaw exist in the concept and while it is viewed as our salvation by many economist and much of the world MMT has a Achilles heel. That flaw is revealed by the question, what do you do when it becomes apparent the economic efficiency of credit is beginning to collapse? This means that as more money is poured into the system and lower rates are no longer effective in driving the economy forward options evaporate. As the extra GDP growth generated by each batch of loans drops and momentum ends this become the equivalent of pushing on a string and is a sign of exhaustion. Now that companies have ushered in the savings from interest they paid on debt into their earning columns we should consider that a huge onetime tailwind is now mainly behind us. As artificially low interest rates promoted by America's Federal Reserve and other central banks in time proves to be a massive one-off in driving corporate earnings only then will people realize the size of the problems before us. Now that rates are in the cellar and may even reverse the positive effect of MMT is about to ebb and become a major headwind. Keep in mind a major reason inflation remains low is that companies are sitting on a hoard of cash, this contributes to the drop in the velocity of money and is apparent by the large number of stock buybacks that have pushed the markets higher. 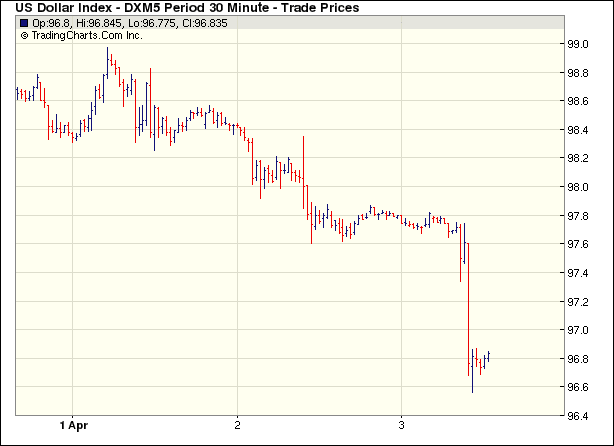 Also, adding to instability are falling oil prices and unrest in the currency markets. With massive government debt in many countries and the economy still weak these factors if untethered have the potential to create a devastating situation. We are constantly bombarded by the message that we have rounded the corner and things are getting better, this invites optimism to return and generates a feeling that blue skies with promising times will soon arrive, but avoiding real action comes at a great cost that we will have to pay in the future. A great deal of our problems come from the poor quality of what we call growth, again we have seen policy makers aided by the media promising simplistic answers to solve both economic and society’s problems with little or no effort required from the masses. We often forget how interesting the times we are living through will be when viewed from a historic perspective. Hope tends to blurs reality, but understand the worst of the financial crisis most likely is still before us. I hate to beat the same drum, but proof that the economy is not well is obvious in that the numbers simply do not work. Back in September of 2012, I wrote an article reflecting on how the economy of today had been greatly shaped by the actions that took place starting around 1979. Interest rates, inflation, and debt do matter and are more significant than most people realize. Rewarding savers and placing a value on the allocation of financial assets is important. It should be noted that many Americans living today were not even born or too young to appreciate the historical importance and ramifications of the events that took place back then. The impact of higher interest rates had a massive positive impact on corralling the growth of both credit and debt acting as a crucial reset to the economy for decades to come. Below is a copy of the article. In his book "A Time For Action" written in 1980 William Simon, a former Secretary of the Treasury tells how he was "frightened and angry". In short, he sounded the trumpet about how he saw the country was heading down the wrong path. William Simon (1927 – 2000) was a businessman and a philanthropist. He became the Secretary of the Treasury on May 8, 1974, during the Nixon administration and was reappointed by President Ford and served until 1977. The path has again become unsustainable and many people will be shocked when the reality hits, this is not the way it has always been. Today many Americans feel just as frightened and angry as Simon did so many years ago. America has kicked the can down the road, failing time and time again to face the tough decisions, and failing as well to take action. Part of the problem is the amount of debt has grown so large that we can no longer imagine or put a face on it. The day of reckoning may soon be upon us, how it arrives is the question. Many of us see it coming, but the one thing we can bank on is that after it arrives many will be caught totally off guard.